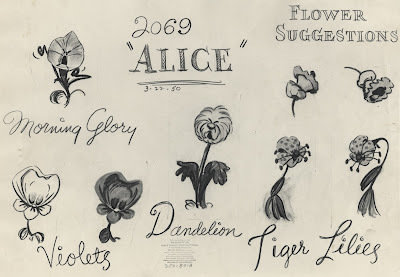 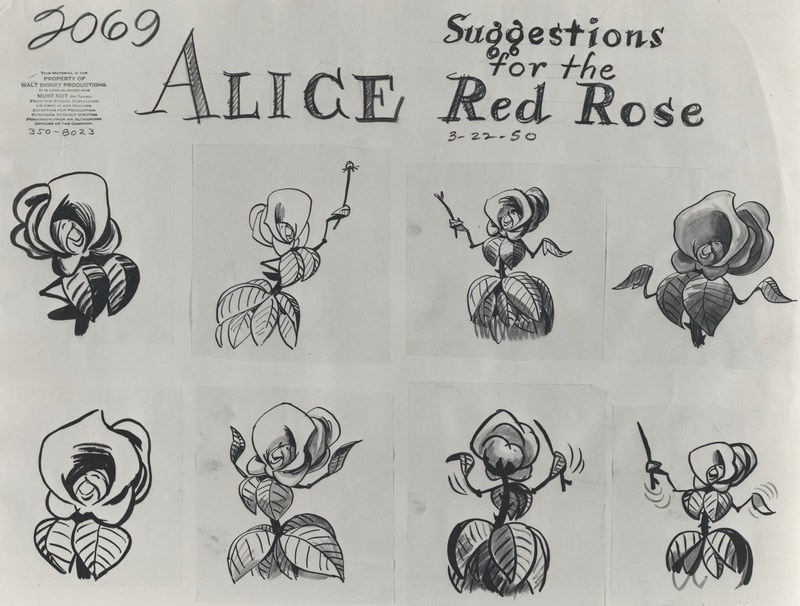 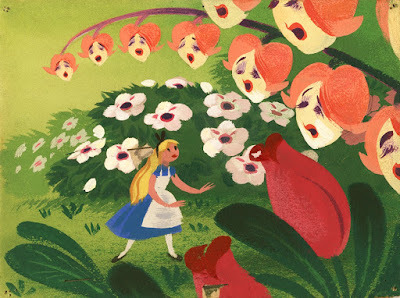 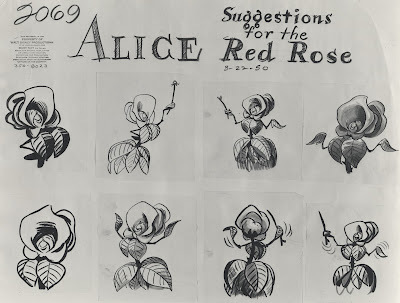 The flowers in Disney's Alice in Wonderland have attitude issues. 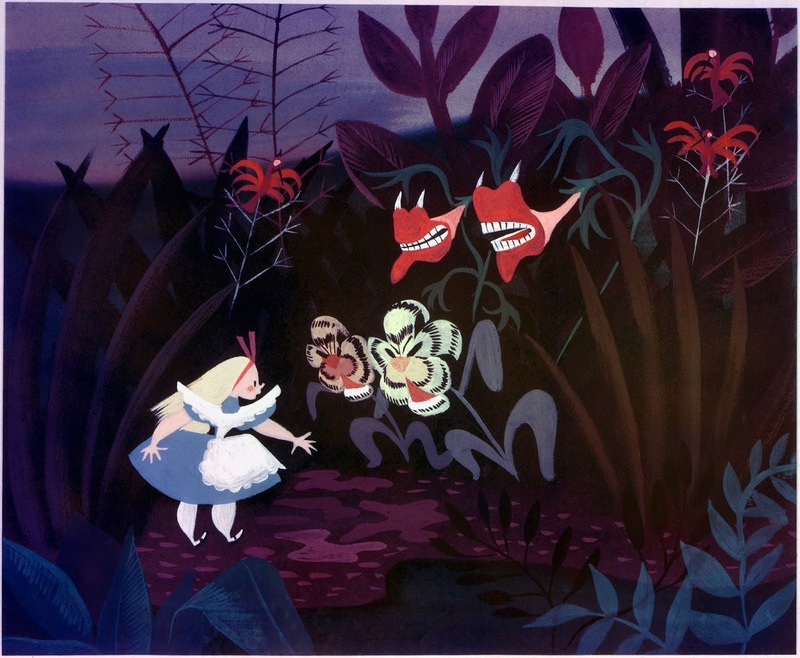 Friendly at first when a downsized Alice approaches them, but then their demeanor turns hostile. Alice is even called a weed. This is wonderful personality stuff. 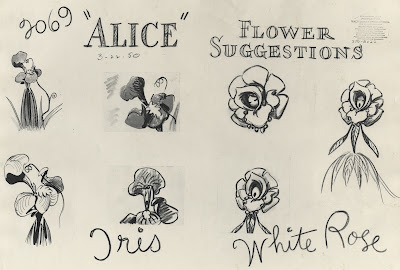 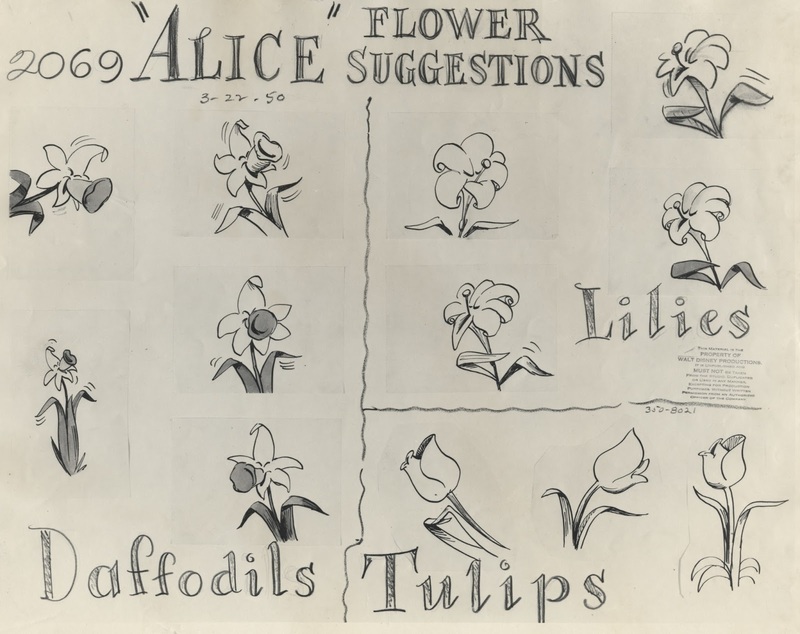 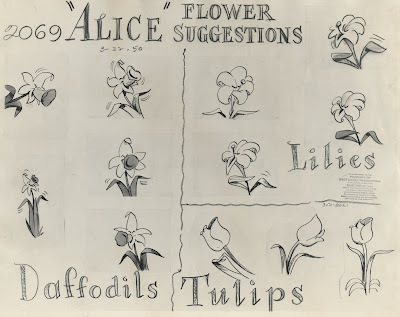 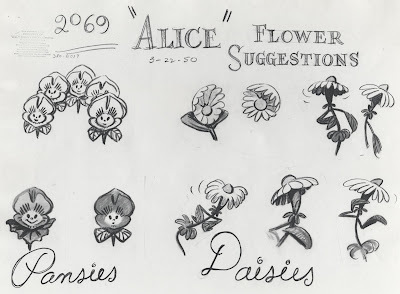 Anthropomorphic flowers with definitive character traits. I just love the way blossoms become faces and leaves turn into arms. John Lounsbery animated lot of the flower scenes. 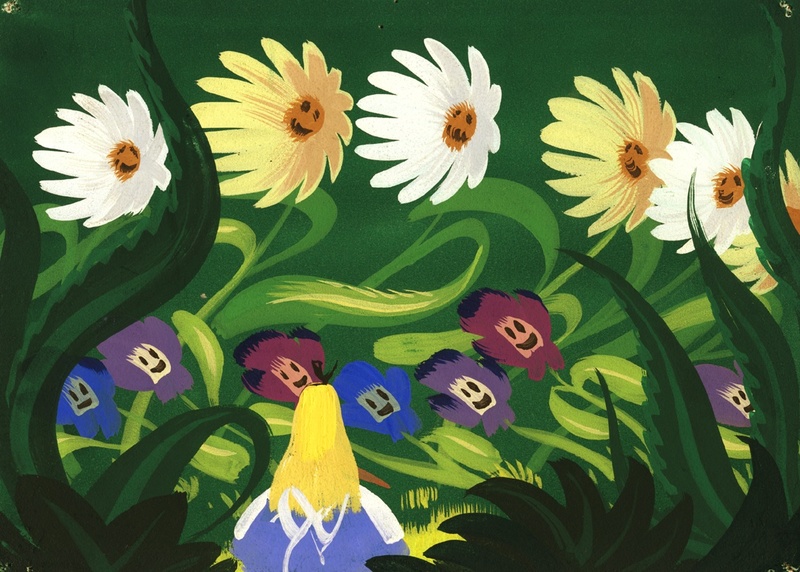 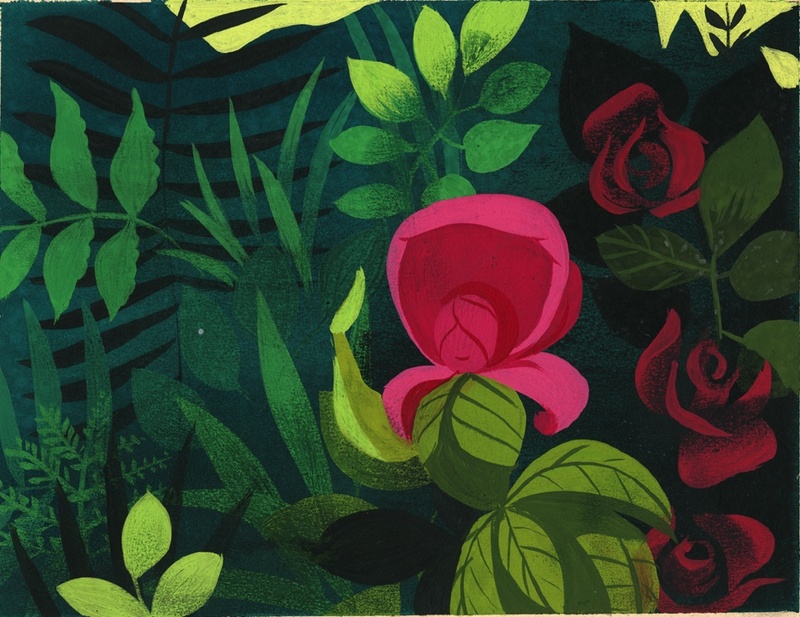 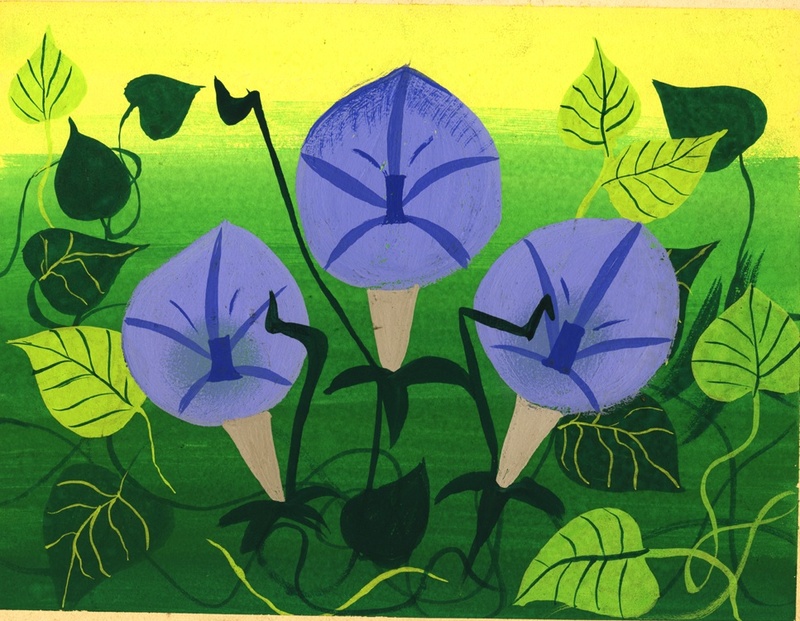 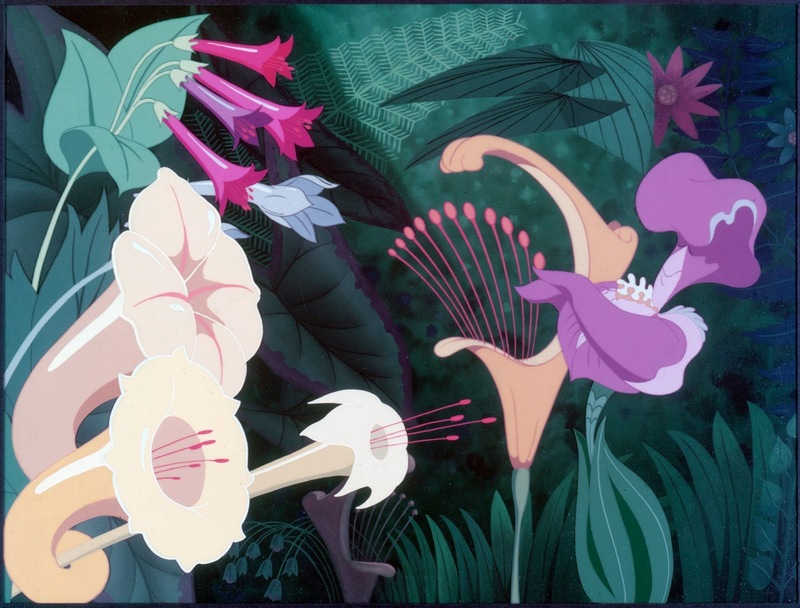 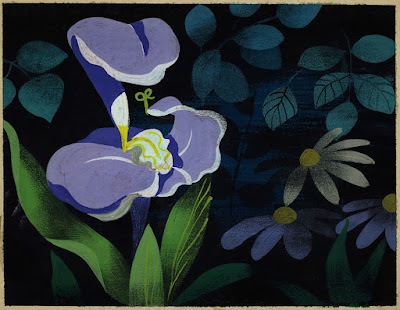 Mary Blair did a ton of color/design studies, all of them stunning. The Technicolor process allowed for an extremely vibrant color palette on the screen. This post is dedicated to my friend Guillaume, who wanted to become a florist after watching this sequence from Alice in Wonderland as a kid. As a matter of fact, today Guillaume is a highly successful florist in Paris. 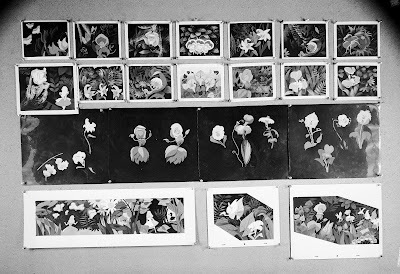 His work is as beautiful as the images you see here.